Working at an animal hospital, we used to always recommended clients whose cats suffered some sort of eye problem to be seen within 24 hours. Reasons behind this were the risks involved with delaying potentially-aggravating eye problems could lead to blindness. Should your cat have an eye problem and you do not see any improvement within 24 hours, please have your cat seen by a vet; it could save his vision. Cat's tears are produced by special glands found on the eyelids. Their main function is to lubricate the eye and prevent bacteria from causing infections. Usually tears evaporate and the excess is removed by a drainage system that delivers the excess to the nose. So when the tearing is apparent it most likely indicates a problem. Just as in humans, cats get foreign matter in their eyes. The fact that a cat's eyes are so large makes them more prone to irritation. Common foreign matter consists of dust, grass, seeds, hair and dirt. When a cat has foreign matter in the eye, you can help by flushing the eye with cool water for about 10 minutes. Should the matter still be present, a Q-tip may be used to gently allow the debris to stick to the cotton. However, only allow a veterinarian to remove something sharp that is penetrating the eye, such as a thorn. Should the eye still appear teary and irritated and the cat keeps pawing at the eye, the object may not have been completely removed or a corneal abrasion may have occurred. In other words, the cornea may have a scratch, or worse an ulcer, and veterinary attention will be needed. When a cat's eye surface is scratched, a cat will feel pain, will rub the eye, squint and not tolerate the light. Such scratches may be caused by eyelashes rubbing against the cornea or foreign bodies stuck in the eye. Should a mild scratch occur, it usually would heal itself within 24 to 48 hours. If no improvement is seen within 24 hours, though, it is vital to have a veterinarian check the eye before a corneal ulcer derives, further complicating the prognosis. A veterinarian will stain the eye with a dye to look for corneal scratches. Never treat a corneal scratch with eye drops designed to treat conjunctivitis. The cortisone found in some of these products may cause blindness. If you have ever found your cat waking up suddenly you may have noticed the presence of a whitish membrane covering the inner corners of it's eyes. This is called the nictating membrane or third eyelid and it is rarely visible normally. However, if it remains protruding even with the cat is wide awake then this may indicate a problem. Causes may be an infection behind the eyeball, bleeding behind the eyeball or the presence of a tumor behind the eyeball. When the third eyelid is protruding in only one eye, suspect a problem with that particular eye. If both eyes are involved then it could possibly be a systemic illness. Such illnesses may be Haw's syndrome which affects young cats, usually under the age of two, following some form of upset stomach. This disorder usually spontaneously resolves within a couple of months. Another syndrome is Horner's syndrome where the cat also exhibits a sunken eye following a neck nerve injury or a middle-ear infection. Suspect this disorder when the cat's eye is tearing but there is no redness. This blockage may be congenital or can occur in cats prone to cat fights and injured eyelids. The tear ducts may also be blocked by thick secretions due to chronic eye infections or dirt or seeds. A blocked tear duct is diagnosed by a vet by staining the inner corner of the eyes with a special dye. When tear ducts are working properly, the excess tears should be delivered to the nostril, so if the dye does not appear at the nostril then the tear duct is obstructed. Blocked ducts may require the veterinarian to flush them and then treat the underlying cause. Cat breeds that are flat-faced such as Persians and Himalayans are prone to excess tearing that stains their fur because of their facial structures and narrow tear ducts. Tetracycline may help relieve the staining. In some cases, a low dose tetracycline can be added to the cat's food long term. Ask your vet for the best course of action. In this case the eyes are red due to inflammation. Discharge may cause the cat to rub its eye insistently as they are itchy. Eye discharge is usually clear when irritated by dust or allergens and is purulent when there is a secondary bacterial infection. In some cases, the secretions turn into crust and seal the eyelids shut. When both eyes are involved a virus may be the culprit. If the inflammation begins in one eye and then progresses to the other then it may be due to chlamydia or mycoplasma. Crusty sealed eyes can be loosened by applying warm compresses. Neosporin opthalmic ointment may also be helpful. Severe cases must be directed to the veterinarian promptly for a full course of antibiotics. Baby kittens usually open their eyes around the tenth to twelfth day. When the eyes appear sealed shut by crust, however, then suspect an eye problem. A kitten affected by conjunctivitis will also have eyes that seem to bulge. Should a kitten suffer from this disorder you must not allow the eyes to seal shut, rather, please consult with your veterinarian as soon as possible to prevent potential eye damage. While symptoms of keratitis may be similar to those of conjunctivitis, the main distinguishing feature is that keratitis causes pain while in conjunctivitis causes itchiness. A cat with keratitis will squint, rub the eye in pain, exhibit discharge and the third eyelid may protrude. Keratitis often occurs when a corneal ulcer is left untreated and causes a secondary infection. Another cause is the feline herpes virus, which causes a respiratory infection with eye involvement. Persians and Siamese are prone to develop a form of keratits where a brown or black spot appears on the cornea (sequestrum). Such a spot must be removed by the veterinarian. Untreated cases of keratitis may progress into partial or complete blindness. As cats age their eyes may develop a bluish tint. This does not usually impair vision and therefore no treatment is necessary. However, a spot that appears opaque may be a cataract requiring treatment. An opaque spot in the cat's eye that prevents light from reaching into the retina. These are more common in dogs than cats but may require attention if they interfere with vision. This condition occurs when there is an excessive build-up of pressure in the eyeball. There will be tearing, squinting and redness with the affected pupil appearing larger the other and will also feel harder when pressed on. If left untreated the eye may buldge and the retina may be damaged. Eye pressure readings by your vet may diagnose glaucoma. Glaucoma is a critical condition where the intra ocular pressure must be lowered as soon as possible to avoid complications. Severely affected eyes that have lost vision may be better off removed. Should you notice a black spot in your cat's eye, have it evaluated by your veterinarian or have a referral to a ophthalmologist specialist. In some cases such spots are malignant melanomas which may require enucleation (removal of the eye). While in glaucoma the eye when pressed feels hard and in uveitis it feels soft. The cat also will manifest pain with squinting, watery eyes, some redness and a small pupil. Prompt treatment is required as it may lead to blindness. Cats who are dehydrated or have very rapidly lost weight may exhibit sunken eyes. Other causes are tetanus, a neck nerve injury or a middle ear infection. Cats start having trouble seeing at the night. They may refuse to go out or may be reluctant to jump and play in the nighttime. They may keep their head low so the whiskers can be used to detect nearby objects. A lack of taurine in the diet may lead to retinal disease. This occurs in cats that are only fed tuna or are vegetarian. Other causes include toxoplasmosis, FIP, fungal infections, etc. Treatment is contingent upon identifying the underlying cause. The eyes play a vital role in a cat's life. They are prominent granting a great vision for stalking and hunting. 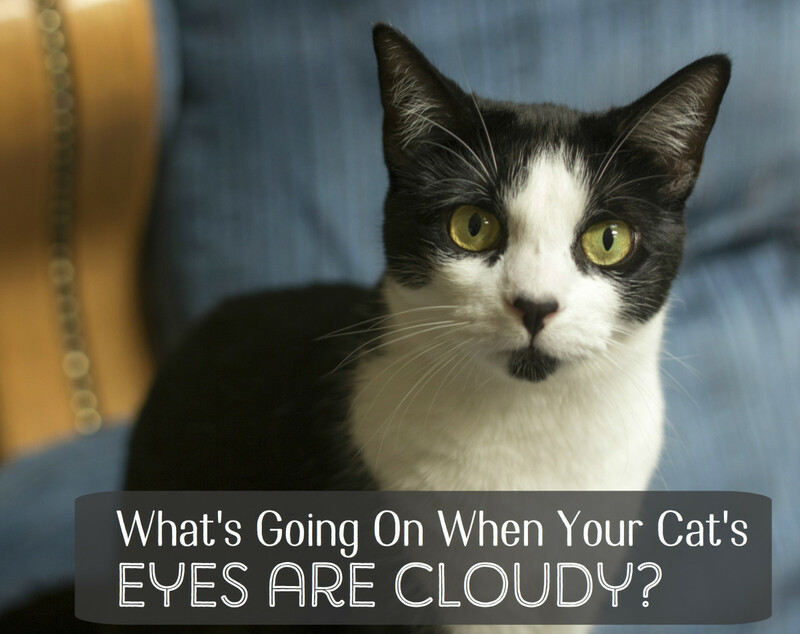 Paying close attention to a symptom suggesting an eye problem can help preserve your cats vision. Disclaimer: This article must not be used as a substitute for veterinary care nor should it be used as a diagnostic tool. Always consult a vet should you believe your cat has an eye problem for appropriate diagnosis and treatment. 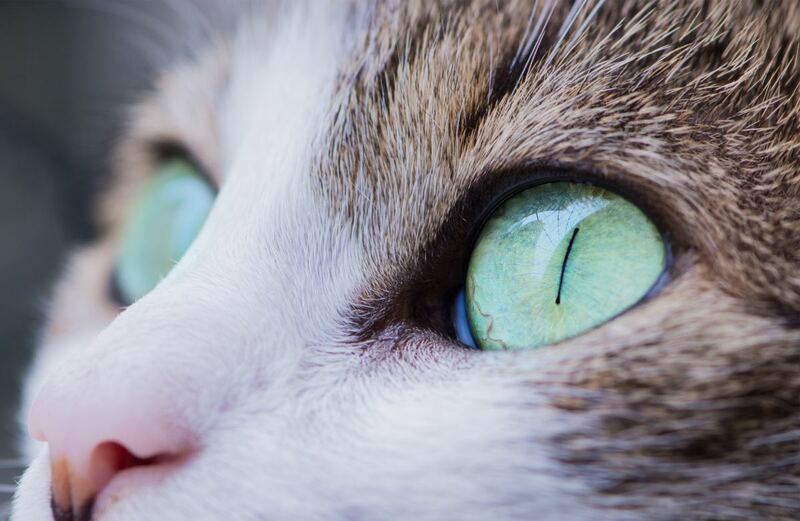 Compared to other animals, a cat's eyes are unique and have special features that set them apart. Large, intense and simply beautiful, they were built as devices to help capture the slightest movements. My cat is not opening his eyes, and his whole face is swollen. What do I do? I would take this cat to the emergency vet. It sounds like a severe allergic reaction which may arise from an insect bite or some other exposure to an allergen. Another possibility is that there is an abscess requiring antibiotics from the vet. An abscess may take place when a cat has fought with another cat. 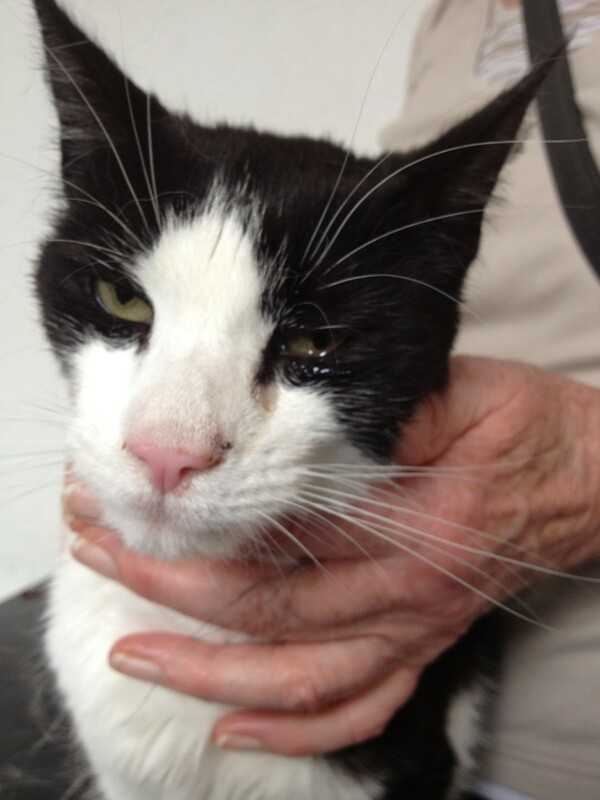 Can a cat get conjunctivitis and become partially blind as a result of not getting it treated? An eye infection such as conjunctivitis can be secondary to a more serious eye condition which may indeed cause blindness. A cat may have an eye infection secondary to glaucoma, anterior uveitis, or a corneal ulcer, and these left untreated may lead to blindness. A have taken in a stray. Feed him everyday and give him shelter.Some days he likes to go out.He gets into fights and gets hurry...latly today he came back with a "bubble" under his eyelid covering most of his right eye.His eye is draining green mucus of some sort what should I do?Is it serious or will it/can it clear upon its own?Also have u ever heard of this? I have a cat whose left eye won't close when she is awake. When she blinks only one eye closes. Her left one stays open. Also if you up anything near her eye it Stoll won't close. She seems to still be able to see with that eye but her eye does seem to drip clear liquid. I'm not sure if its tears or not. I just know its clear. She is approximately fifteen years old do you know what's wrong with her? Rescued a stray cat and had him fixed. He came back with an eye infection. Took him to the vet and he had an ointment for almost two weeks seemed better now less than a week later it looks like it's back. Red eyes with drainage. Do I think it's allergies? pls help my two months old kitty's eye is swollen,and its getting a little red and its watery. My kitty isnt behaving the way he should sometimes he cant open his eye sometimes he can what should i do??!! I also wondered if his iris was changing color.. but that seems unlikely? Am I missing something? I don't want to take him to the vet for a false alarm. He has stress problems that affect his urinary tract health, and he gets really upset at the vet - so i try to only take him for shots and sickness. My cat had a fight a few years ago &I there was damage to his eyelid. This third eyelid. This was dealt with & apart from an abscess near this eye, which was successfully drained, he is fine. However I have noticed the pupil in the same eye is now hardly visible &I seems to have "floated upwards? It doesn't weep or seem to bother him. Will it affect his sight. He is 10 years old. What happened to my kitten it was alright yesterday morning now it dies because its weak and can't swallow. It was really skinny too. My cat had an enucleation just prior to his adoption 4 years ago. The socket has always been a bit itchy for him but I've noticed that he has a hard bump in the lower corner that seems to be the root of extreme itchiness. My vet does not seem concerned but methods of itch relief have not solved the problem. Any idea on what the issue could be? A few days ago a big cat came to our house in front of our window and I knew it hade been at our house before but this time I saw it had one eye closed and it had this green stuff over it and the other one was starting to do the same. I have it in our garage and I don't really know what to do with it. my parents don't want to take it to the vet because its not ours and they don't want to spend lots of money on someone elses cat. Any tips? Hello, so sorry to hear about your kitty. If your kitty smells that bad it may suggestive of some sort of an infection that would give off that strong odor. 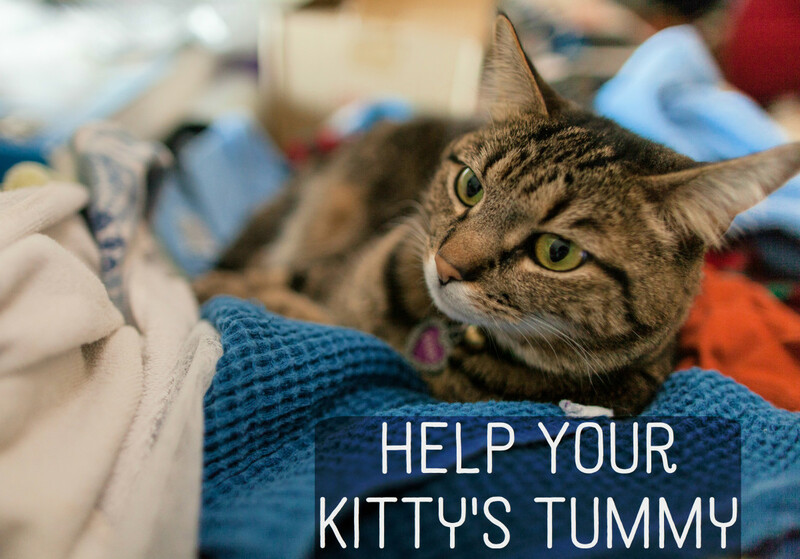 Another possibility is that if your kitty has been feeling sick she may not have been cleaning herself properly and maybe she may smell like feces or perhaps she ate something rotten if she is let out. Your kitty may need oral antibiotics if the infection is widespread and unfortunately only a vet can prescribe these. Infections left untreated can cause serious complications, may be you can call around and see if a vet working for a shelter can offer a discount? I rescued a kitten about 6 months ago her left eye was gone she had a nasal infection and of course it was oozing there was nothing in there it's totally sucking in I did treated with some of feline ointment that I had from the vet for another CAT and it went away she cleared up her infection in her nose and her eye seemed to heal up. It has again started oozing and there is a horrible smell coming from her you can smell it coming from about 5 feet away I know I should go to the vet I have no money to afford that anything I could do temporarily till I save money for about a month? Hai sir I have 3 months old cat it has got bitten by another big cat from then it has'nt been active as it was I also took him to the vet, he gave one injection and said it would be fine but it has'nt worked and now it is got blind. don't think a Vet. will shorten a tail or will he or she? Can be an eye infection or tooth problem, please have her evaluated by a vet. My kitten has really dark pink around his eyes and he hasn't been acting right and I'm worried is he ok or not . My 14 year old cat has a swelling on her lower eyelid which appears to be growing and looks sore. She is a very nervous car and has never been to a vet. Do you know what this might be? Dorothy, most likely you were looking for a diagnosis or home treatment. Eye issues can be serious and things can get worse quickly, which is why it's recommended to see a vet quickly when dealing with eye problems in cats and dogs. I would ask for a referral to a veterinary ophthalmologist. These are eye specialists that would best advise you. Best wishes for a speedy recovery. Hi, there. Please tell me how I can help my little cat. I thank you so much. First of all, her right eye shut and then swelled day by day. The vet said it was exploded. the vet injected her and asked me to drop eyewash for her. Her right eye discharged pus and I cannot see her right eye but it still keeps discharging pus. But she still eats, drinks and plays. Now it happens to her left eye. What should I do? I wonder whether it is dangerous to her life. I love her. I think she loves to live. What can I do to cure her? Please give me an advice. Thank you so much! Are you seeing a regular vet for this problem? 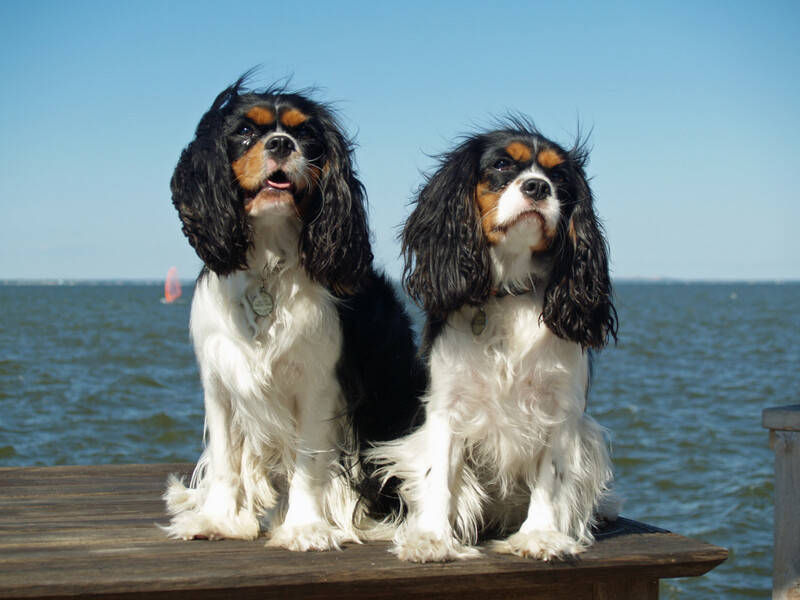 If so, you may want to seek a board-certified veterinary ophthalmologist as they have much more expertise in treating and diagnosing eye problems. A neurologist may also be helpful. From what I know from working with an eye specialist years ago, Horner's syndrome occurs when there is injury to the sympathetic nerve that leads to the eye. Sometimes though it can appear for no reason and then may disappear as it already has in your cat's case after 6 months. I don't think it can really switch eyes, (I be could wrong though) but perhaps it could arise from some underlying issue that is involving these nerves or some condition affecting the ear, eye, brain, neck or chest. My feeling is that your vet wants to do the CT scan to try to pinpoint what is causing this. I would consult though with an eye specialist because they see Horner's quite frequently. Sending you best wishes for a good outcome. Hi my female cat had a tumor removed in her right eye 8 months ago. They couldn't get it all. She got horner's syndrome from the surgery in the right eye. The CT scan showed that her left ear was fine. Now, 6 months after her right eye horner's syndrome has cleared up, her left eye is now showing signs of horner's syndrome. She gets monthly blood test and takes chemo pills. The vet is going to want to do more scans that will cost thousands if surgery is needed. My question is. Any of this normal? Can horner's syndrome switch eyes? It could be a variety of issues ranging from conjunctivitis (eye infection) to allergies, virus etc. If this was a small kitten, it may be Noenatal conjunctivitis. Today I found a kitten outside of my house and at first I thought he was dead because their was flies around him but the I think he heard me and moved his head towards me and I noticed he was actually alive and when he moves his face I noticed his eyes were closed shut like is somebody sowed his eyes or something so I moved the flies around him and put him in a box and he was so skinny,and took him to the animal hospital as quickly as possible and when we got there I noticed that he had opened his eyes a little but their was a pus like liquid coming out it was yellowish. I left him there and I'm gunna call tomorrow and check on him but I just can't wait thinking of what he has because even the lady there didn't know what to do and I can't stop thinking about this poor kitty. Please help me. Thank you. Try seeing a veterinary ophthalmologist, that's what our vets did when they had odd or difficult cases. They're the eye specialists par excellence. I'm afraid your pet may have sustained a corneal ulcer and that it's causing cloudiness which may cause the eye to appears as if it changes color. My best piece of advice is to see a vet. Best wishes. Hi, My two kittens where playing the other day and one of them scratched the others eye and because of that the kitten kept blinking really fast, twitching in it's eye. I am concerned because the kitten has green eyes, but the one that got scratched has turned a darker, kind of brownish color. At first I thought it was just me who was imagining things, but yesterday I looked closer and it is true, one of her eyes is that darker brownish color. What should I do? Rinsing with saline solution is safe for cats and can be found at your local grocery store, but please have seen in squinting and teary. well my cat's eye has been squinting and a bit teary. Mum said that she will be fine & that it would probably heal itself but I'm not convinced. Does rinsing the cat's eye with water help because I tried that & it kind of inproved the problem. Well, you "keep an eye on it" for a start and see your vet if you notice anything worrisome signs of cat eye problems ie red eyes, tearing, squinting etc. What do you do if you poke the side of your cat's eye by accident? It could be an infection, what color is the crust? Jeffrey, great! turned out quite costly though! 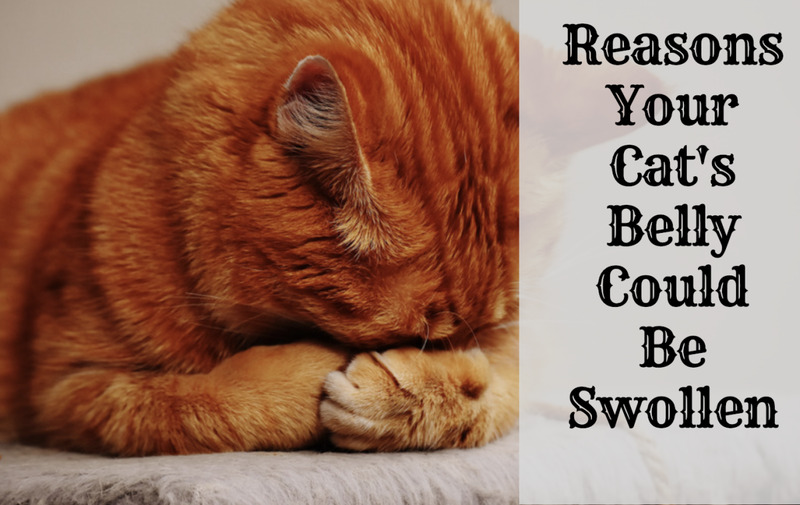 but your cat should be very happy and feel much better without that sticky in the eye! what kind of medicine are you giving drops or pills? are you trying to put eye drops in the eyes? Is it possible if your giving your cat medecine she will just run away? Took her to the vet and they got out the fox tail right away. There was no damage to her eye at all. It was about one hundred and thirty-dollars. I got antobiotic ointment to put in her 3x a day for 4 days. Thanks for your help. My cat is thankful for your help. Thank you again! It could be a fox tail. My cat is sleeping right now and I don't really want to bother her right now because she is walking around pretty slow.All she has been doing is laying down all day. It's watering alot. Do you think she could last 1 more day till the vet? How much do you think it would cost? Better off see the vet as you may cause damage in your attempt in removing it. Cats are not the most collaborative beings and the wrong movement may prove deleterious. Vets are equipped with the right tools. By sticker do you mean a fox tail? There is a sticker in my cat's eye. She had a a sticker in her eye two days ago but she got it out herself. Now she has another one. I don't know what I should do? There is a sticker in my cat's eye. 2 days ago she had one in her eye and she got it out herself. Then she got another one in her eye today. You can tell there is some tearing and she barely has it opened. What should I do? I don't have money for a vet so any help is appreciated. I love my cats very much. I have always had cats and kittens and they haave always been healthy. A year and half ago we moved in to the country. Our cats had kittens like usual and the kittens when they were about two months old started getting crusty eyes. Some of the eyes got real bad. Some kittens died amd the ones that remained didn't grow much and had diarreah. I have new kittens this year and the babies are starting to get crusty eyes again. Can there be something on the property causing this? Is this the herpes virus? Any help would be appreciated. I have been thinking about buying penicillin but I not for sure how much to give. The babies are about 5 weeks old. My cat has green pus almost covering his entire right eye. He doesn't wince in pain or act like it even bothers him. But when I try to clean it out...that's a different story! He just lays around most of the time and keeps his eyes closed. He eats like my other cats and walks around like they do. Is it an eye infection? Has been like this for about 4 days now. that is good mary, she may need some eye drops to get get better, best wishes! Great, just what was looking for, taking my cat to the vet first thing tomorrow morning, I would hate for her to loose vision, so far looks just like an eye infection. No not normal, what color is it, can you provide more details? where is it? do you think it is a foreign body? My Cat has a sort of worm like thing at the side of his eye is this normal??? You're welcome and best wishes for a speedy recovery! I always recommend vet visit for any eye conditions because there can be so many things going on they can get worst fast and even cause loss of eye sight. So I would not wait. Hi Alex. My cat has recently presented with what looks like a sliced nictitating membrane. There is no other damage to the eye, it's not protruding or sunken and there is only very slight excess tearing. It looks like a sliver, approx 8mm long, of the top of the membrane has been detached. She appears fairly unconcerned about it and is healthy and behaving normally in every other aspect. I was wondering if it will just heal in time, or if it really needs to be seen by a vet, as I'm not a rich man. I think a vet might just cut the flap away - I strongly doubt there is enough tissue there to stitch anything back together, or if it would be beneficial to even try. I am monitoring it for any worsening or infection. I would have this checked out by the vet just to be safe. Here is a link about strabismus in cats, best wishes! We just looked at our cat and noticed her eyes look small and almost crossed to look at her nose. Also, a third eyelid is showing. My father believes it's because of a worming pill she took today. Any suggestions of how to help? Great stuff .Keep it up. It's hard to say. If there is an infection she may need need antibiotics. If its just a mild irritation it may go away on its own. I would call around for low-cost clinics if money is an issue. I wished there was a way to know for sure. Generally, yellow/green discharges indicate infections, but there are many other eye conditions that can cause start as weepy eyes and progress. If it does not get better I would recommend a vet visit, there could a corneal scratch. I got home and my 6 week old kitten's eye was closed he experienced discomfort when I tried to touch it, but it does not seem to be hurting him. His eye is not red and there was only a small amount of "tears" clumping his eye. It looked pretty normal though. Please let me know if I should be worried. The bump could be a bruise, but due to the fact both eyes are cloudy really a vet visit is in order, it could be an infection..unfortunately it is almost impossible to diagnose eye problems over the internet, best wishes! My kittens eye is shut but I clean it frequently. When her eye is open its cloudy and has a bump on it and the other eye is starting to get cloudy too. What can it be? 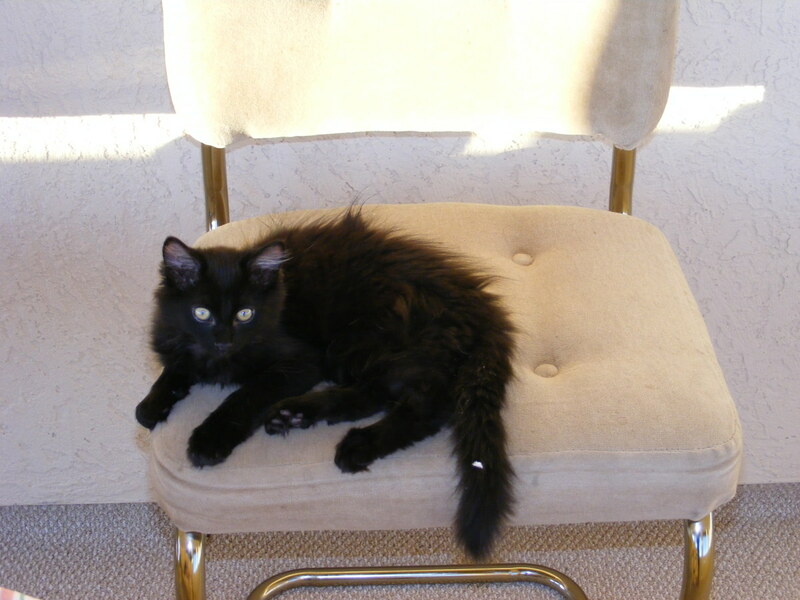 i have a young kitten, about 4-5 months old. she was found being kicked to death by a group of boys. she was mostly starved to death and her skin was black with brusing. her right front leg was broken and has healed back wrong, so she cant straiten it or walk on it. in the last 2 weeks her right eye started getting dark spots in it, like paint splatter, than it started getting foggy over the pupil and turning red out around where it is supposed to be yellow. she has no discharge, no pain, and no apparent vision issues. is this due to head trauma? is there anything to be done? she is a rescue kitty, and i do not know if we are keeping her, but i want to help her if i can so she can have a long and happy life, despite those boys. Call your vet and ask for prices, they may give you an idea at what you may looking at before going there. A vet visit and antibiotics if needed, may be less than $80, ask your shelter about low-cost clinics. If this is an infection, there is nothing you can really do at home. If your cat is keeping the eye closed it obviously must hurt, could be he injured himself somehow, I would have it checked out. my c has blood on the bottom of the eye, but not in eye just a bit under, almost looksw like he clawed himself,but he keeps closing it what could it be??? Hi. My ginger cat has what looks like sore, raw tear ducts. They don't seem to bother him, but it often gets crusted over in what looks like dried blood, and then when he knocks this off, underneath is raw looking. His eyes otherwise appear normal, and they don't seem to be causing him any pain or discomfort. I have looked through your entire page as I initially thought conjunctivitis, but he has no swelling or puffyness or pink-ness other than in the duct which goes from the corner of his eye towards his nose. I was wondering whether you thought an over the counter eye cream for cats would suffice, as the vet would be costly, and for what might be something minor and manageable. Tamara, it could be an outcome of high blood pressure, kidney disease, hypertyroidism but there can be other causes. Acting scared upon cutting his nails maybe due to him not seeing, so he may not know what may be going on. Your vet should run several diagnostic tests. my cat sudanly his eyes become all black and he cant see anymore, the doctor said he never had a situation like this, im sooo worried and scared :( anyone know what it could b? I hate to tell you but knowing what vets charge these days it could be around $100-120, but call around, most vet receptionist can give you quotes for the office visit. You may find at times low cost vet clinics which charge considerably less. That's why I have pet insurance. Oh Alright!!! Thanks. How much do u think it might cost? We're on a budget. I am sorry but I am a not a veterinarian and therefore I cannot make recommendations over medications. It may be an infection but there are no over the counter antibiotics for a cat's eyes. If she got into a fight, it could be she has a corneal ulcer. Please have her seen by a vet if this is going on for more than 24 hours. Best wishes. I just took my cat to the vet 2 weeks ago and the other day we noticed her left eye was half closed with clear/yellowish liquid coming out. I don't want to have to go back to the vet (we paid $800 for our last visit) we don't think she's sick, she either got in a fight or hurt herself. What would be a good anti-biotic to buy or eye drop? It's been 24 hours, still bad. Hello, my cat has one small thick short line on the bottom of one of her pupils. Does anyne know what this is? so why has my cat only developed one brown eye in her older age? its still yellow around the pupil but the other hasent changed at all?! 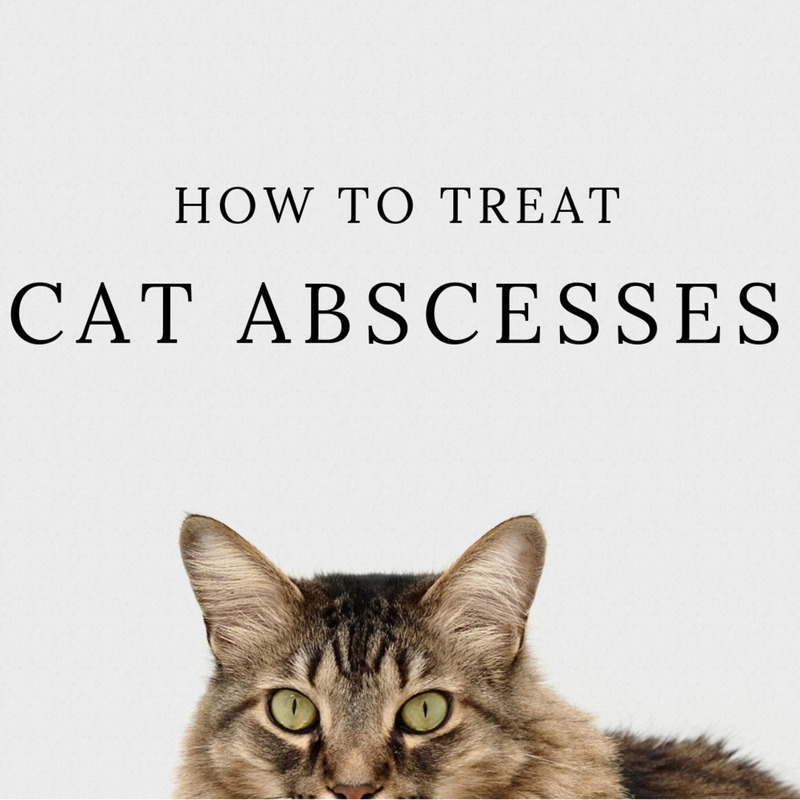 If there is puss very likely you are dealing with an infection and only a vet may prescribe antibiotics to treat it. The visit should not cost more than 100$ you can call and they may give you a quote.